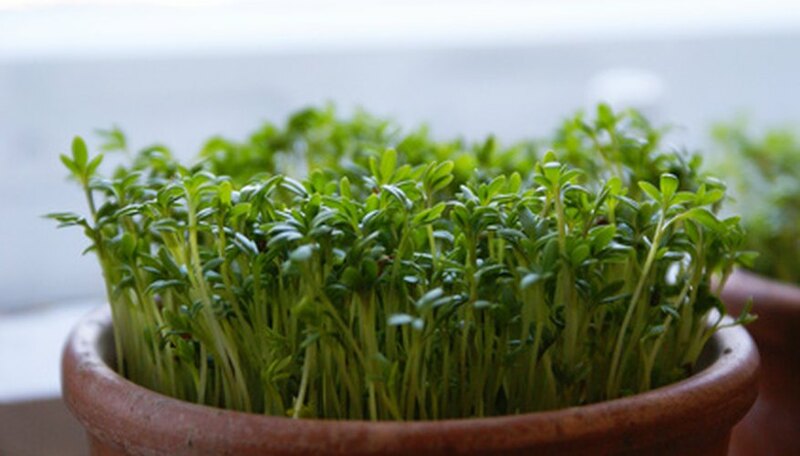 Just like micro greens, growing micro herbs is becoming increasingly popular. Not only are micro herbs easy and fast to grow, but micro herbs, and micro greens, are more nutritious and flavorful than mature herbs. Not requiring as strong of light as herbs grown to maturity, you can grow your micro herbs on a windowsill with indirect light. Depending on which micro herbs you choose to grow, you could begin harvesting your micro herbs in as soon as seven to 10 days. Micro herbs are ideal for adding to salads and other culinary dishes and can be grown year around. Fill your shallow trays or seed trays with clean, fresh potting soil. Smooth the soil surface level, then liberally spray the surface with your mister until the entire surface is very moist. Sow your chosen herb seeds generously over the surface of the soil by taking handfuls and sprinkling the seeds over the potting soil. Use your hand to gently press the herb seeds into the soil so the seeds are all making contact with the soil. Place a single layer of paper towel over the entire seed-planted soil surface. With your mister or spray bottle, thoroughly and completely wet the paper towel that is covering your planted herb seeds. Place the lid on the planted shallow tray or seed tray. Place your covered trays in a location that receives indirect light and has a temperature in the 70 degrees F range. Watch your covered trays for the paper towel to begin to lift. This will mean your herb seeds are beginning to germinate and it is time to remove the lid and paper towel from your micro herbs. Continue to place your shallow tray in a warm location that receives indirect light. Water your germinated, growing herb seedlings daily, or as needed, by using your mister or sprayer. Mist or spray your seedlings enough to moisten the soil surface. Harvest your micro herbs when the first set of mature leaves develop on the seedlings by using a pair of sharp scissors or shears. The first mature leaves are usually the second set of leaves on your herb plants. Cut your micro herbs very close to the soil surface.